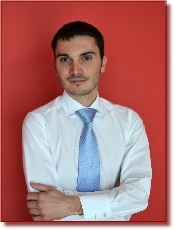 Schio, April 2012 – Videotec has announced the appointment of Gianluca Bassan as its new Marketing Manager. To mark the strong market-oriented focus of the company – which is already present in 3 continents – the new manager will ensure its strategic development and will be responsible for enhancing Videotec's offer, technology and communications in all the markets where it operates. Gianluca Bassan, 32, specialised in Sales & Marketing, has held positions involving increasing responsibility in the sales department of durable goods and in recent years he developed the most crucial activities during the switch to digital TV in Italy as the company's Trade Marketing Manager. A note of the company points out that “Gianluca's market approach, combined with his passion and expertise, will allow Videotec to go ahead with innovation, by always providing the best understanding of an important, ever-evolving market such as security”. Videotec produces professional and certified accessories for video-surveillance, such as housings and outdoor positioning systems for cameras, video management systems and devices for digital analysis of the video signals. Videotec offers today a network of services and support through its subsidiaries in France, USA and Hong Kong.